Do your joints ache? Is pain keeping you from doing the things you love? Effective arthritis pain relief helps keep seniors with joint problems active and independent. The best arthritis pain treatment varies, depending on the type of arthritis, the seriousness of the pain, and each person's own preference. 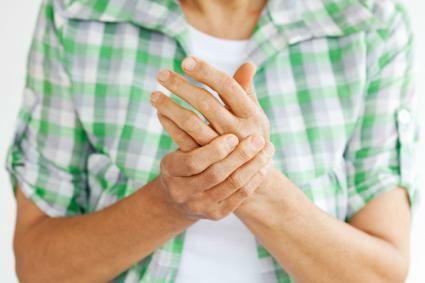 Making some simple lifestyle changes can do a lot for arthritis pain relief. Weight loss, stretching, and conditioning exercises can reduce the need for medication and make daily activities easier and less painful. These changes can also be an important part of healthy aging. Weight Loss. When arthritis occurs in weight-bearing joints, such as the knees, being overweight can make pain worse. A healthy, nutritious diet geared toward weight loss can help take pounds off even if exercise is too painful at first. Stretching. Moving joints through their full range of motion can help keep them supple and reduce pain. Gentle stretches, repeated daily, can help keep arthritis at bay. Exercise. Keeping muscles strong helps protect joints and maintain proper alignment. Both strengthening and aerobic exercise can be helpful. Low-impact exercise, such as water aerobics, minimizes strain on knees and other weight-bearing joints. Gentle hand exercises can help with pain in fingers and hands. Check with a doctor before beginning any lifestyle changes. A physical therapist can help create an exercise program that keeps muscles in proper balance. 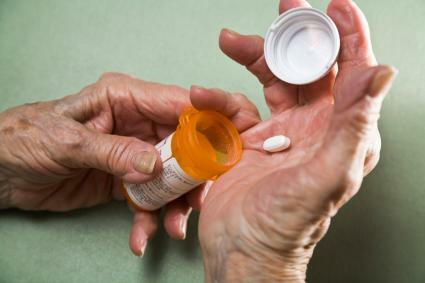 Many over-the-counter medicines can help with arthritis pain relief. Read the label carefully before using any over-the-counter treatment, and check with a doctor if you plan to use one regularly. Many doctors begin treatment for arthritis pain relief by recommending acetaminophen. This inexpensive, over-the-counter medicine may be enough to keep the pain under control. It's sold under many brand names, including Tylenol. NSAIDs help with pain and also control inflammation. It's not clear if over-the-counter NSAIDs work better than acetaminophen, but if joints are swollen they may be worth a try. NSAIDs should be used with care because they can irritate the stomach lining and cause ulcers and gastrointestinal bleeding. Brand-name NSAIDs include Motrin, Advil, and Aleve. These two substances are found naturally in the body. They're both involved in maintaining cartilage, which lines joints and helps keep them moving smoothly. Breakdown of cartilage is one cause of arthritis pain. Although they are sold as dietary supplements, not as medications, studies suggest that glucosamine and chondroitin sulfate may work as well as acetaminophen and NSAIDs for arthritis pain relief. Medications applied to the surface of the skin tend to work less well than medicines taken by mouth. However, many people find that they provide some relief. Preparations that heat or cool the skin may distract from pain, relax muscles, or work through another method that's not well understood. A cream made from capsaicin (brand name Zostrix), which comes from hot peppers, may work directly on nerves, depleting the chemical messenger that signals pain. A doctor can prescribe higher doses or stronger versions of over-the-counter medicines such as NSAIDs. Other prescription choices include injections, narcotics, and surgical options. COX-II inhibitors, such as the brand-name drug Celebrex, are a type of NSAID, but they are less likely to cause stomach irritation. However, the COX-II inhibitor Vioxx was taken off the market because it increased the risk of heart problems. Steroids are used to reduce inflammation. When injected directly into joints, steroids can help with arthritis pain relief. Effects usually last about one month. There is some concern that repeated use of steroids can damage joints, so many doctors limit these injections to only a few per year. HA is a natural part of the fluid inside joints. Injections of a type of HA have been shown to improve arthritis pain in the knees. Treatment requires a series of injections, and improvement may not occur until the series is complete. Effects last several months to a year. When other treatments fail, narcotics may be the answer for arthritis pain relief. These strong medicines, including oxycodone and fentanyl, can be used as needed or in formulations that last all day. Surgical options range from minor procedures to full joint replacements. Arthroscopic lavage involves washing out a painful joint, using a tiny camera and tools inserted into the joint space. Joint fusion involves fusing bones together so that the joint no longer moves. With joint replacement, an artificial joint is inserted in place of the damaged one.